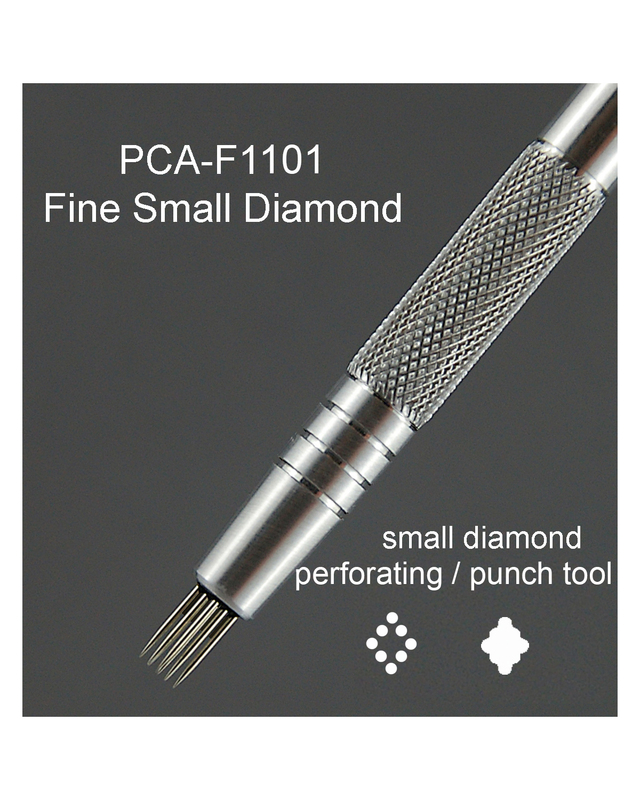 PCA® Fine Small Diamond Perforating / Punch Tool. 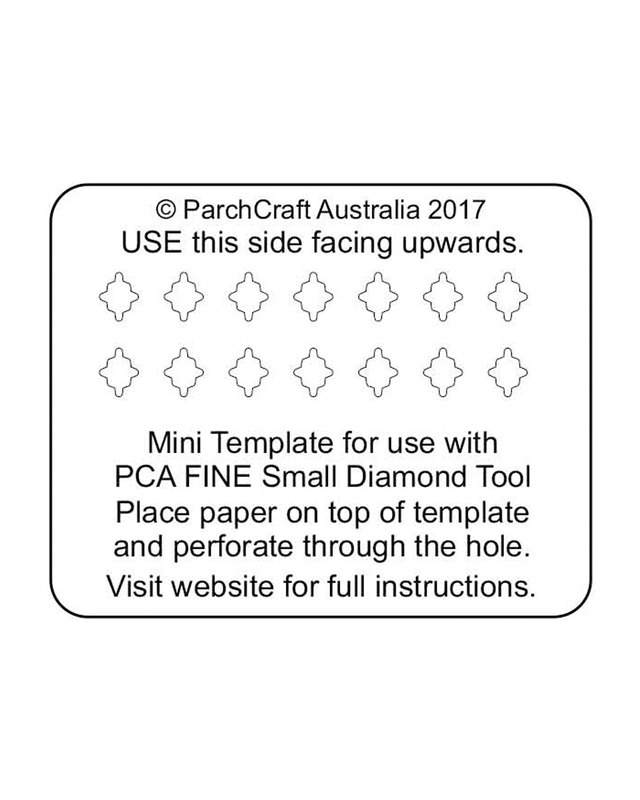 This tool come with the mini template and is very easy to use creating the perfect diamond shape every time. 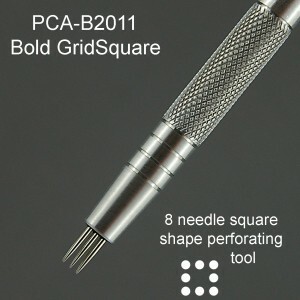 Simply place parchment over the top of the diamond template and perforate to the full depth of the needles. The Diamond shape will be punched out. 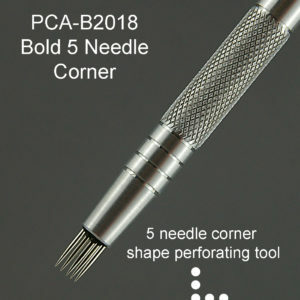 If only the perforations are required, perforate to half the depth of needles. Used together these tools are basically two tools in one. 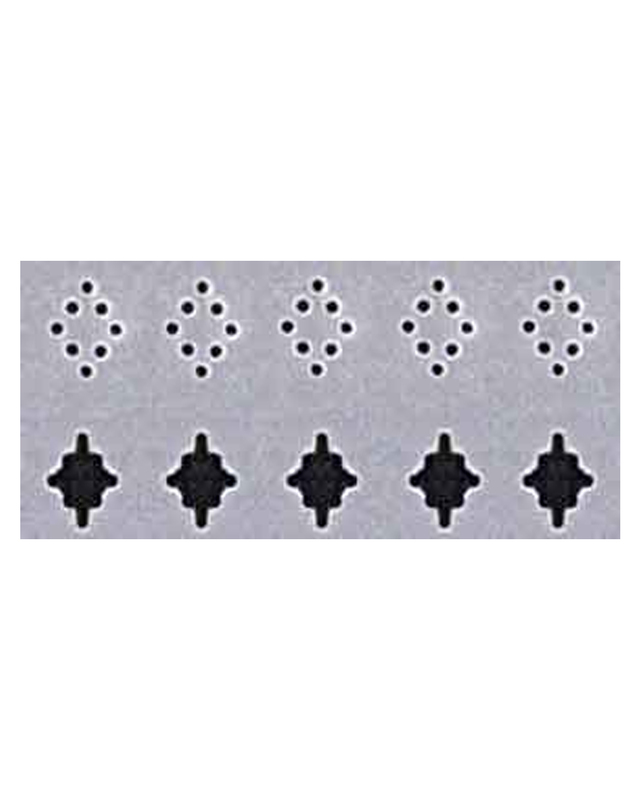 First perforation gives a diamond shape and the second perforating action gives the cut out shape. 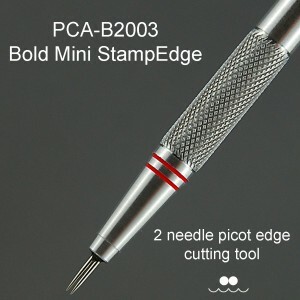 To achieve the best results it is recommend this tool is used in conjunction with the new PCA® Perforating / Punch templates. 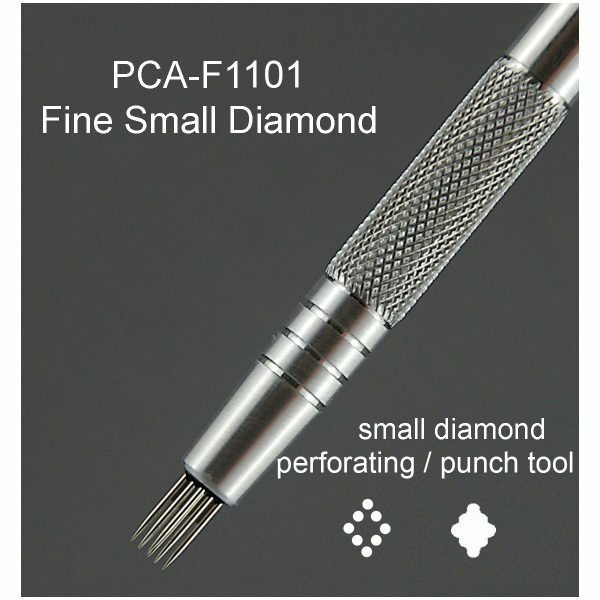 PLEASE NOTE: The standard F1035 Fine Small Diamond cannot be used on this template.